You should have insurance if you own a boat, Jet Ski, or any other type of watercraft. Owning a boat can be a lot of fun, but there are numerous risks associated with owning a boat. Without insurance you are opening yourself up to lawsuits. Let’s talk about the risks associated with owning a watercraft. One of the main reasons for boat insurance is because of accidents. Take a look at the boating statistics below. The Boating Safety Resource Center states that someone is injured or killed in a boating accident every 2.5 hours. There are over four thousand boating accidents annually. I will post the link to the statistics, but there were over five hundred deaths and 39 million dollars in damage. A boating accident can happen to anyone. There are things that happen that you cannot prepare for. If you have a boating accident, you will want to know that your boat, your passengers, and other people’s property are covered in case of a mishap. Without watercraft insurance you are opening yourself up to lawsuits for medical costs and property damage. You could be sued for more than your worth and looking at filing bankruptcy or being in debt for years. 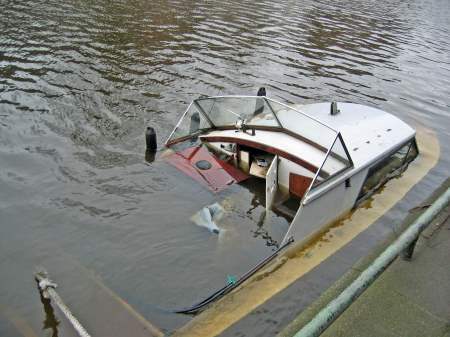 It is much cheaper to have a good boat insurance policy. What if your Boat is Stolen? If your boat is stolen, do you have the money to replace it? Wouldn’t you prefer to have a good watercraft insurance policy that will give you peace of mind? What if your boat is damaged while in tow? A common way that a boat can be damaged is while it’s being towed. Let’s say you are on your way to the lake. Your boat comes off the trailer causes significant damage. Is your boat covered? It just doesn’t make sense to be driving, towing your boat without insurance. The premium is relatively low and you can have different deductibles. We hope you enjoyed the article. If you have any questions about boat insurance, please let us know and we will be happy to answer any questions you might have. Give us a call today for a competitive insurance quote on your watercraft.